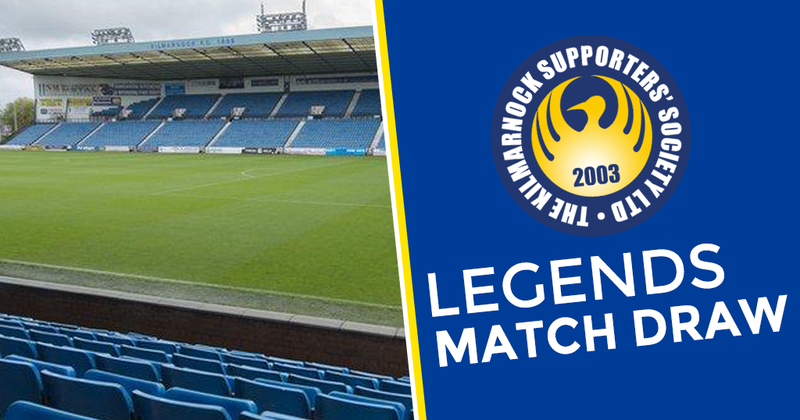 The Football Club have asked the Trust to supply five players for the Legends Match at the Rugby Park Open Day this Sunday (29th July 2018). Players have to be over 18 years of age, be in reasonably good shape and be available to play on the day. Kit will be provided by the club and returned afterwards. Due to lack of time we are asking that anyone interested in taking part email killiefc.com@gmail.com or get in touch via social media and we will draw the names from the proverbial hat on Thursday afternoon and let you know further details if you are selected. If you feel you are too old, not fit enough, or simply don't want to take part in the game, you can still put your name forward for selection and then nominate someone to play in your stead...provided they too meet the criteria for inclusion...they do not need to be a Trust member or a TIK subscriber themselves. The Open Day should be a lot of fun as always and we would encourage everyone to drop by even if you are not taking part - there will be a Trust 'stall' there on the day and members of the Trust Board at hand to answer any questions you may have and have forms on hand to sign up for the Trust and/or the Trust In Killie initiative.